Once famous for its sprawl, noise, graffiti, and pollution, Athens has been cleaning up its act. New driving laws, along with a marvelous subway system, have made the city less congested. While it used to turn my hanky black in a day, the air now seems much cleaner. And while before, it felt as though there was one blade of grass for each of the city's three million cars, today it's much more people-friendly, with welcoming pedestrian streets and squares filled with benches, inviting cafés, and grassy parks with shade-giving trees. But the city's big draw remains its ancient sites. Even in today's bustle, you can still feel the aura of the ancient Greeks, who reached their apex here nearly 2,500 years ago. With the mighty Acropolis crowning the old center, you're constantly reminded as you wander the streets of Athens that this is the birthplace of Western civilization itself. 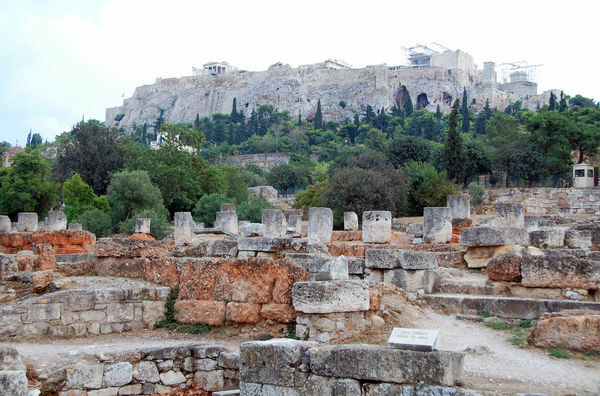 While the Acropolis was the city's ceremonial showpiece, it was the Ancient Agora, at the northwest foot of the Acropolis hill, that was the real heart of classical Athens. For some 800 years, it was the hub of all commercial, political, and social life, as well as home to much of the city's religious rites. Unfortunately, little survives from the classical period at the Agora. Other than one very well-preserved temple and a rebuilt portico, it's a field of humble ruins nestled in the shadow of the Acropolis. On the upside, its ruined state makes it a quiet, uncrowded spot to wander and get a feel for the ancients. But with a local guide, the Agora can come to life. Wandering this field of humble ruins with my Athenian guide Fay, she referred to the Acropolis and Agora as uptown and downtown. She made the hot and dusty visit a delight, bringing meaning to the rubble. Fay explained that Greeks designed on a human scale — appropriate for their democracy. As Romans didn't have democracy, their leaders had a taste for grandeur. So when the Romans came, they put an "un-Greek" veneer of power on the Agora, including pompous staircases, fancy pavement, oversized temples, and larger-than-life statues. Roman statues are always propped on something, with "too much robe" and interchangeable heads. Masters of both imperial ego and efficiency, they reused stone bodies, economically replacing the head with each new emperor. That's why lots of Roman statues are headless. And just north of the city center is the world's best collection of ancient Greek art, the National Archaeological Museum. 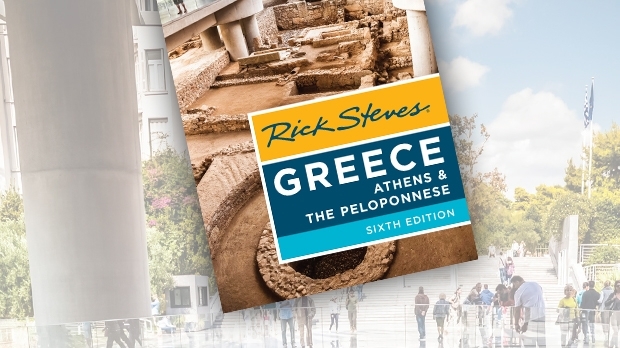 Ancient Greece set the tone for all Western art that followed, and this museum lets you trace its evolution — taking you from 7000 BC to AD 500 through beautifully displayed and described exhibits. 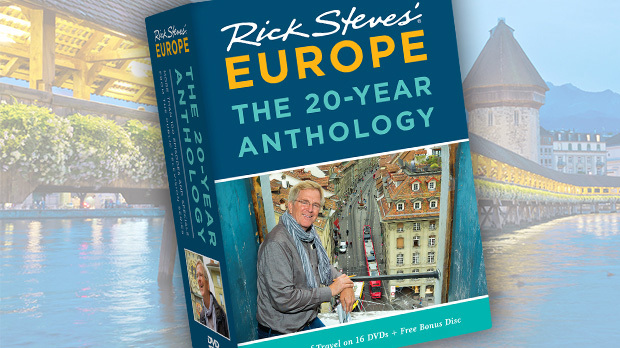 You'll see the rise and fall of Greece's various civilizations: the Minoans, the Mycenaeans, those of Archaic Greece, the Classical Age and Alexander the Great, and the Romans who came from the west. You can also watch Greek sculpture evolve, from prehistoric Barbie dolls, to stiff Egyptian-style, to the David-like balance of the Golden Age, to wet T-shirt, buckin'-bronco Hellenistic, and finally, to the influence of the Romans. This museum holds a good share of the top artifacts collected from all around Greece — meaning the treasures displayed here are generally better than those remaining at the sites themselves. This makes the museum a great way to start off your sightseeing elsewhere in Greece, as the sheer beauty of the statues, vases, and paintings you can see here helps bring the country's dusty ruins to life. 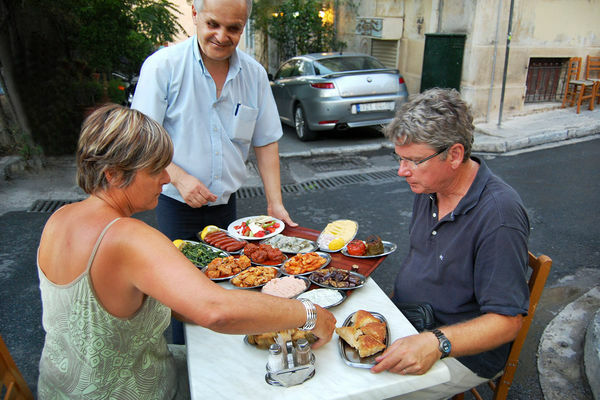 After a day of communing with Athens' ancients, I enjoy communing with locals at a traditional Greek taverna. My favorite way to eat here is to order a medley of mezedes (small plates) to share. With dinner, I order the infamous resin-flavored retsina wine, which makes me want to sling a patch over one eye and say, "Arghh." The first glass is like drinking wood. The third glass is dangerous: It starts to taste good. If you drink any more, you'll smell like it the next day. With a belly full of mezedes and just enough retsina, I walk off dinner on the pedestrian street that runs along the base of the Acropolis. Wandering this modern walkway under the floodlit Parthenon, I enjoy a mix of ancient splendor, the charming 19th-century "old town," and a steady parade of modern Athenians doing the same thing.